Four leg table frame and 600mm diameter heavy duty top that can be used indoors and outdoors. 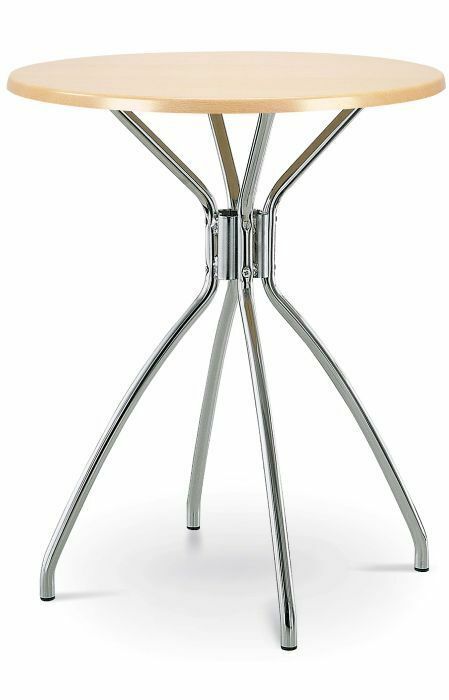 Elegant design in a durable Chrome finish. Full table with sleek style contract grade table base in an attractive chrome finish. Choose from a wide range of attractive Werzalit top finishes.